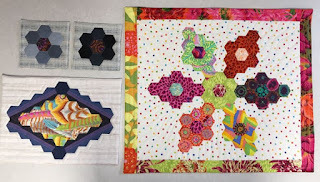 English Paper Piecing is a hand sewing technique that has been used for centuries to create lovely mosaic quilts, and has had a surge in popularity recently. 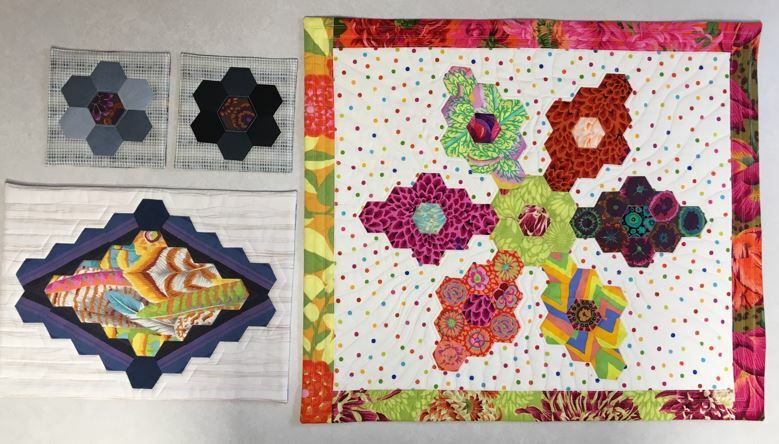 In this class participants will make a small project to get a feel for the technique... this can be a placemat or tablemat, or the first block of a quilt. 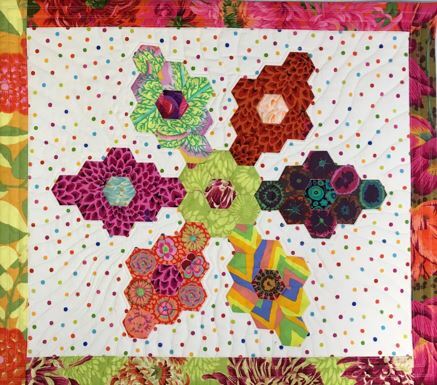 Valerie Boode loves all aspects of quilting, especially combining fabrics to create the top. She has been teaching quilting for 30 years and had a long arm business in Alberta before moving to Victoria nine years ago. 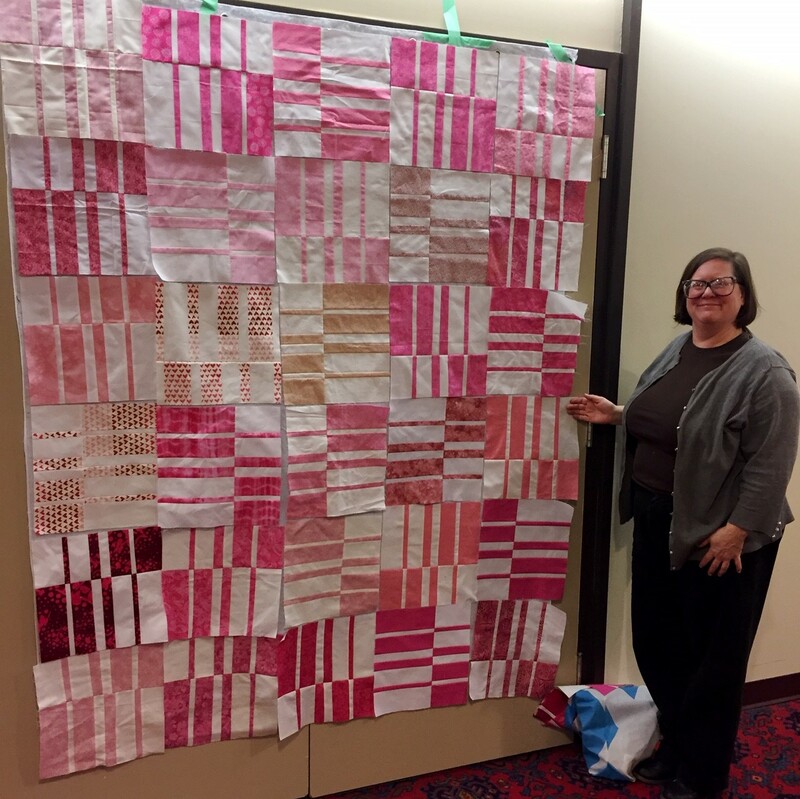 Valerie has taught numerous workshops for the Victoria Quilters Guild, and does long arm quilting for Victoria's Quilts - an organization that makes quilts for Canadians with cancer. The cost of the workshop is $70 for members, $75 for non-members. This workshop will run from 10:00 am - 2:30 pm, with a half hour lunch break (bring lunch with you). Participants may set up at 9:30am. Workshop location: Victoria Salvation Army Citadel, 4030 Douglas Street. Placemat (1) 11.5" x 15.75"
Wall Quilt or Table Topper 22.5" x 26"
These hexi shapes are sewn into each other with no applique, thereby making the quilt as large or small as desired.To enable our class to accommodate the time restriction our “sewn hexi units” are appliqued to a background, they could however be sewn as a complete hexi unit (adding more hexis to fill the background) and applique could be avoided.